Baker Hughes, a GE Company continues to give mixed signals in its quarterly earnings reports that make it hard to determine if it is doing well or not. 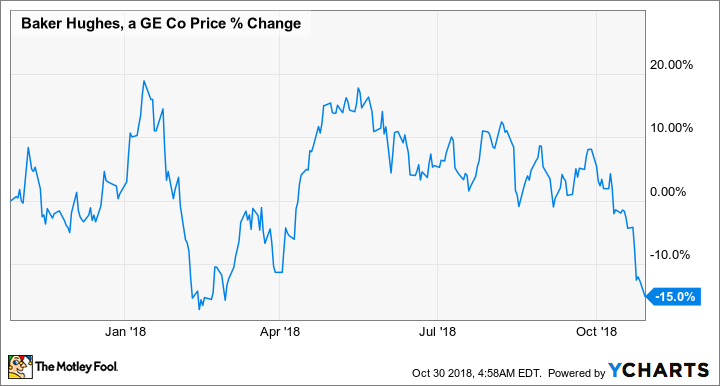 Among all the oil services companies, it's the hardest to determine whether Baker Hughes, a GE Company (NYSE:BHGE) had a good quarter or not. While the company did produce a net income gain for the first time since the merger between Baker Hughes and General Electric's oil and gas division, there were still a couple of business segments that put up lackluster results. What makes it challenging to read into these results is that it's hard to say if this is a temporary thing or a cause for concern. You can read a full transcript of BHGE's conference call here.